Thursday is a happy day at Trophy. 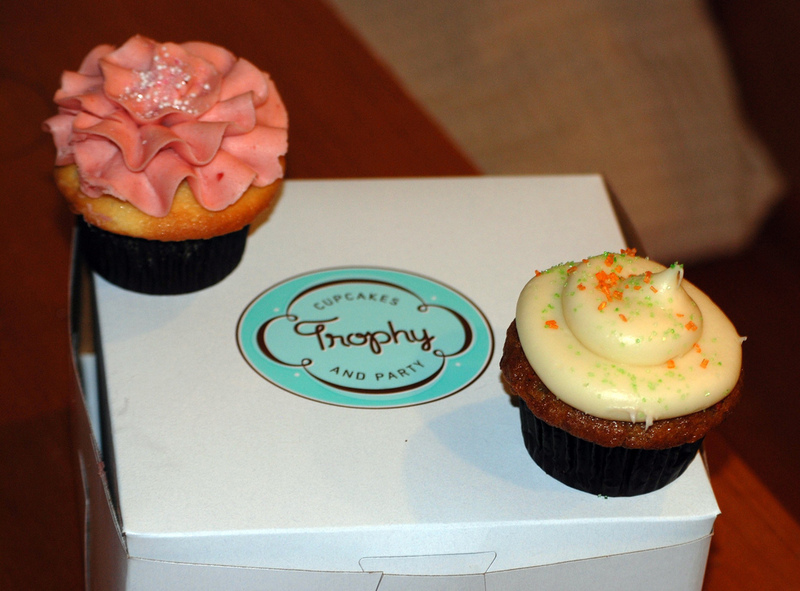 2 flavors of the day: Carrot Cake and Strawberry Lemonade. Strawberry lemonade is delicious. Lemony pound cake cupcake. Dense and moist. Tart strawberry icing with sugar crystals. Carrot cake is good. Moist and flecked with carrot shreds. Nice cream cheese icing.